Is anyone in this economy shopping for a four-box, rack-swallowing, two-channel SACD/CD player contending for the state of the art and costing $79,996? dCS is betting that its Scarlatti will attract a small crowd of those wealthy music enthusiasts who, in any economy, reliably pony up for the best. For the rest of us, the Scarlatti will be a spectator sport. HDMI is the invention of the Devil. I grant that the Devil is very smarthe has put on a single cable both hi-rez audio and video, and paid tribute to the gods of industry by incorporating obligatory content protection. However, he has confounded the rest of us by using a connector that, while it relies on friction to maintain physical contact, has so little friction that the cable connector can be easily displaced from or misaligned with the chassis connector. The traditional audiophile predilection for heavy cables is, in this case, actually counterproductiveexerting just a bit of torque on a stiff HDMI cable can be enough to break the connection. As we approach the end of the 21st century's "oughts" decade, many feel that playing music from a discrete physical medium is positively 20th century. Much of my own music enjoyment now comes from computer files, often high-resolution, streamed to my high-end rig via a Logitech Transporter or Bel Canto USB Link 24/96. It is perhaps a paradox, therefore, that high-end audio companies are still devoting so much effort to developing expensive, state-of-the-art disc players. In April I very favorably reviewed Meridian's superb 808i.2 CD playerpreamplifier, which costs $16,995 as reviewed, and Michael Fremer is about to review the ultimate Scarlatti SACD playback system from another English company, dCS. The $80,000 price tag of the Scarlatti makes the subject of my review this month, the Boulder 1021, seem relatively affordable at $24,000. The first time I ever heard stereo sound, it was in a shop on Manhattan's Radio Row. In addition to the Studer staggered-head tape deck, the system consisted of pairs of McIntosh C8 preamps, MC60 power amps, and monster Bozak B-310 speakers. I can still picture the room and almost hear the sound. I was then an impecunious high-schooler, and while I always strived to buy the best equipment I could afford, I unfortunately was never able to own any of these iconic products. 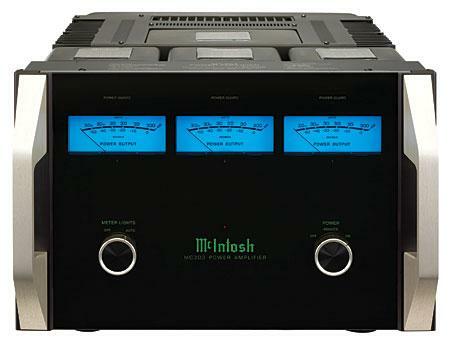 However, when I saw McIntosh's new MC303 three-channel power amp glowing brightly on silent display at the 2008 CEDIA Expo, a light bulb went on over my head: I'd been assessing a series of three-channel and monoblock amps, and the MC303 would fit nicely into my New York City system. I've been enthusiastically tracking the development of Bel Canto's class-D amplifiers, from their original TriPath-based models to their more recent designs based on Bang & Olufsen's ICEpower modules. 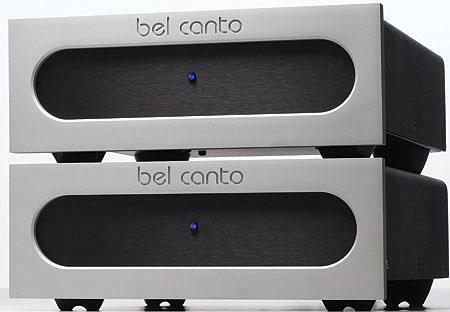 With each step, Bel Canto has improved their amps' sound quality and reliability. Unless you've already acquired a large collection of SACDs, buying a player in 2009 necessitates an act of faith similar to the one turntable buyers faced back in 1992. As with the LP back then, the major labels today have all but abandoned the SACD to such niche players as Chesky, Proprius, Harmonia Mundi, Pentatone, Channel Classics, 2L, Telarc, Mobile Fidelity Sound Lab, Groove Note, and Acoustic Sounds. Sometimes, I think life would be easier if I were an audio customer. If I didn't have to wait on the priorities of the electronics companies, I might have gone out and bought a Blu-ray player months ago. Had I done so, I would have been shocked to find that almost all BD players are released with fewer than the advertised number of features, and sometimes require firmware updatessometimes even a return to the manufacturerto have them installed. Some reviews take longer to gestate than others. But in the case of Cary's CD 306 SACD Professional Version SACD/CD player, it has taken me literally years to get this review into print. I had visited Cary's impressive facility in North Carolina just before Christmas 2005, when I'd been playing the high-resolution master files of some of my recordings at an event being promoted by Raleigh high-end dealer Audio Advice. Cary's head honcho, Dennis Had, had been playing me music on a system featuring his Silver Oak loudspeakers, with the front-end one of the first samples of the original CD 306, playing discs through the two-chassis Cary SLP 05 preamplifier that Art Dudley ended up reviewing in the September 2006 issue. "Now that's a product I'd like to review!" I enthused, looking inside the CD 306, and I drove back to Brooklyn with a review sample. Spending $10,000 for a machine that spins CDs and SACDs may seem extravagant in an age when the latter format is pretty much dried up and the former seems headed there. But hold onthere are reasons for the Krell Evolution 505's five-figure price, and a payoff, too. Recently, I got an e-mail from a colleague at another audio magazine complaining about the paucity of new SACD hardware. We've been hearing about the slowing pace of new SACD releases, and about Sony's neglect of a format they themselves developed, but I now realize that, apart from the High End (footnote 1), machines that can play SACDs have been fast disappearing from the middle of the market. When the battle of SACD vs DVD-Audio was raging, universal players that could play both formats were available from almost every major manufacturer. Even John Atkinson jumped on the bandwagon, acquiring a Pioneer DV-578A universal player for $150 to use as a reference. 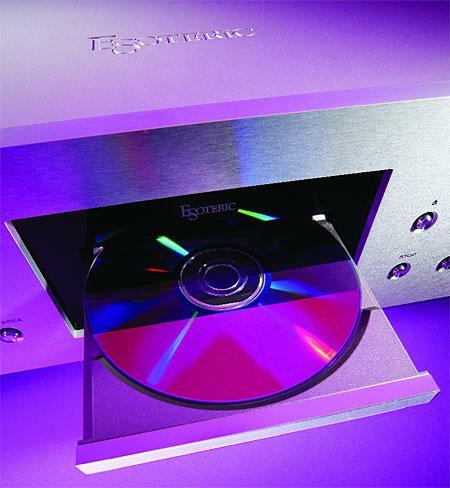 The exceptions were the very companies that had developed the new formats: Sony offered only SACD players, and Panasonic, at least at first, only DVD-A players. No matteryou could buy a universal player at any national electronics chain store, even if that store didn't stock recordings in either format and their staff had never heard of DVD-As or SACDs. Some things never change. In January, I reported on my experiences with the Integra DTC-9.8 preamplifier-processor, which I found to be outstanding with digital sources. That assessment was due, in no small part, to the performance of the Audyssey MultEQ XT room-correction system, which is included in the DTC-9.8. With only a little serious effort, MultEQ opened up the entire soundstage, making possible a better appreciation of the hi-rez sources now available on all sorts of discs. I have no doubt that any careful user can achieve similar satisfaction. For years, I have espoused the use of the same speakers (except subwoofer) in all positions for multichannel music. To have no speaker in the system contributing a different voice to the choir seems as intuitive as having the room acoustics not color the sound. Of course, this still doesn't guarantee perfect timbral match—positioning and room acoustics usually impose some unique characteristics under all but the most perfect and symmetrical conditions. You can hear tonal imbalances even between the left and right speakers of most two-channel systems simply by switching pink noise between them. On the other hand, there's no reason to superimpose on these unavoidable differences the additional imbalances inevitable with using different speakers in a multichannel array. I had planned to feature a few intriguing new products I saw at CEDIA's Expo 2007 held last September in Denver, but I did that on the Stereophile website. Instead, I'll just tell you about the only big audio trend I saw there: HDMI. In the ongoing debacle that has been the introduction and promotion of high-resolution digital audio and the record industry's struggles to engage the public's interest in it, two recent events stand out.